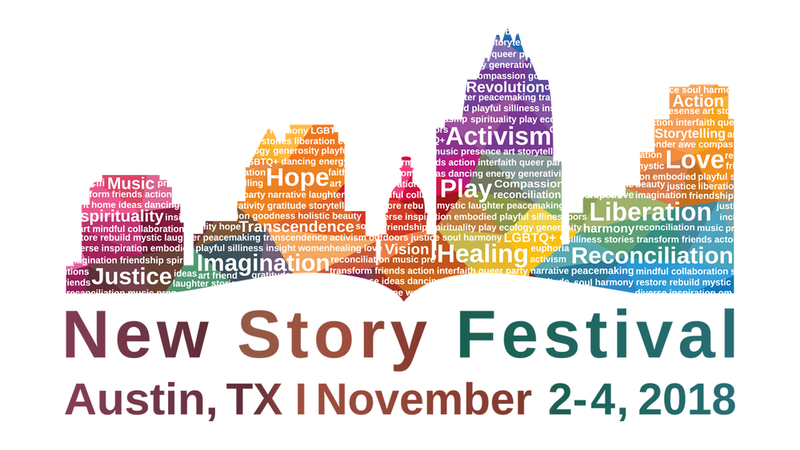 At the New Story Experience in November 2018, across seven program areas in one day, we'll embody the new story: of connection instead of separation, of commitment to the common good instead of narrow ambition, of participation with imagination at the foundation. We’ll play, think, contemplate, act, create, connect, and listen in community and alone, in quiet and noise, with distinguished teachers and leaders in the new story. Featuring Brian McLaren (author and pioneer of the new story), Mona Haydar (musician and activist for the common good), Micky ScottBey Jones (nonviolence practitioner and justice doula), and Gareth Higgins (Irish writer and story organizer), along with a community of artists, inventors, activists, tricksters, and dreamers. Experience from the U.S., Middle East, Northern Ireland, South Africa, and elsewhere will animate our conversations about how to learn and share a better story to help make a better world. We’ll make a space for courage and practical tools, laughter and focused action, meaning and compassion, soothing the soul and generating energy for the task of life. Play - At the New Story Festival, you can expect this: we'll try to take life seriously; but expect this too: we'll try not to take ourselves too seriously. You're invited to join us in both. Deepen - Sometimes called contemplation, the DEEPEN program invites us into practices that slow down our breathing, sharpen our thinking, and help us find resilience amidst the challenges of life and the world. Ancient wisdom experienced in a new context, for young and old, of all experiences. Act - Margaret Mead said that we should never doubt that a small committed group of people can change the world, for indeed it is the only thing that ever has. Our festival will host leaders and dreamers for the common good, courageous light-weavers who show that each generation has the chance to discern what needs to change, and then make the change real. Think - Before something can come into being, it has to be imagined. We're hosting conversations and talks from people committed to learning and sharing a better story - activists, poets, wanderers, leaders and questioners. Watch this space. 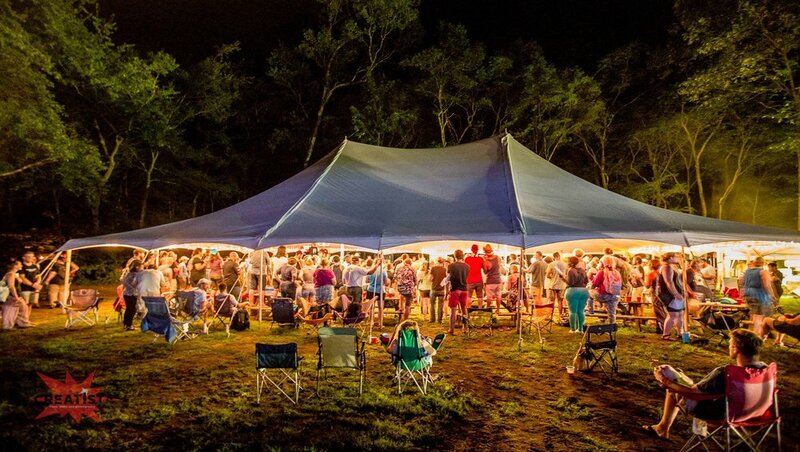 Connect - A festival isn't only a performance, but a communal experience of meeting, listening, and enjoying each other. At the New Story Festival, we'll be providing space for the building of a new community - and we welcome introverts and extroverts, and everyone in between! Perform - From music to theatre, spoken word to dramatic monologues, and surprises too, come taste and see - or hear - artists sharing the new story in song, drama, poetry, and who knows what else? Create - Art isn't just for people who believe they are artists, but the capacity to participate in and enjoy creativity belongs to everyone. Join us for experiential, entertaining, educative and amusing opportunities to make something new. 12.30pm: Lunch - lots of options for great Austin food within a few minutes of campus. 2pm: Afternoon Session with Gareth Higgins & Micky ScottBey Jones: the new story and you - inside and out. Two guides experienced in conflict and creativity will share how we can live better through better stories. 5pm: Dinner. Have dinner on your own or with friends, or join us for an optional People’s Supper - a movement to repair the breach in our interpersonal relationships across political, ideological and identity differences, leading to cooperation for the common good - in the most nourishing way we know - over supper! 7pm: Evening session: Mona Haydar in conversation on transformative spirituality, activism for the common good, and living a more humane, welcoming, courageous life. We have often heard that people need four things to survive: food, water, air, and shelter. We rarely define shelter beyond four walls and a roof, but we know that we need a deeper shelter than that. I think there are at least three other elements to shelter, and I want to invite you to step into it. There’s the shelter of friendship - a community that knows us, supports us, calls us out when we’re wandering from the path, laughs and cries with us, and generates an energy that is more than the sum of its parts. There’s the shelter of having a sense of purpose that goes beyond self-centered ambition, and seeks to serve the common good. What is your gift? What is your need? How will you bring them both together to contribute to the most good for everyone? And there’s the shelter of being connected to someone a few steps further ahead - mentors, wisdom figures, elders who have held steady through the storms of life and can show us how to do the same. These three elements of shelter form part of a story of what it means to be alive. It’s a story in which power and fairness and wellbeing and hope and healthy lament and action for the common good come together with celebration and community, and an invitation to move forward no matter what’s happening in the world around us. We’re building a festival around this story, and you’re invited. In November 2018, we’ll host a one-day New Story Experience, offering a taste of the wisdom, inspiration, fun, sights and sounds of the New Story Festival, planned for March 2019. We’re announcing the schedule for the one-day November experience today. Get the schedule and register now.